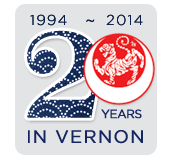 At this time, Vernon Shotokan is no longer able to accept any students without previous Martial Arts experience. If you have any questions about your experience qualifications, our club or about Shotokan Karate please don't hesitate to contact us. We will endeavour to answer your questions as best as we can.